This internship is 3-4 days per week, with flexible scheduling Monday-Thursday between 10:00am and 6:00pm, and is located in New York, NY. Occasional nights or weekend hours may be requested. The duration of this internship is the summer of 2019. 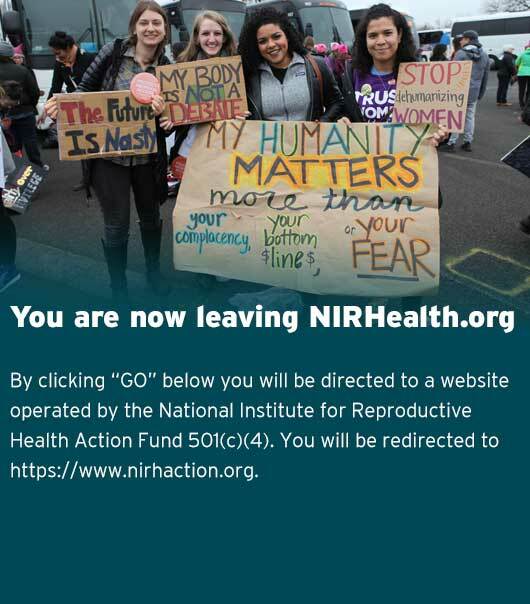 The Political and Organizing Intern is responsible for supporting the National Institute for Reproductive Health and NIRH Action Fund’s Political and Government Affairs Department, which works to advance reproductive rights in New York through legislative advocacy, electoral work, and community organizing. This internship is intended for undergraduate students looking to expand their political knowledge and skills. Research state and local candidates running for office throughout New York State. Research lawmakers and legislation. Advise political staff on findings. Assist in the creation of educational materials for activists and lawmakers. Work with political staff to engage our supporters in advocacy campaigns and events. Help plan and attend public outreach activities including tabling, phone banking, and petition collection. Passion for social justice and reproductive rights. A strong interest in the legislative and political processes, as well as grassroots organizing and volunteer coordination. Comfortable doing outreach over the phone. Confidence in using Microsoft Office programs, particularly Excel.